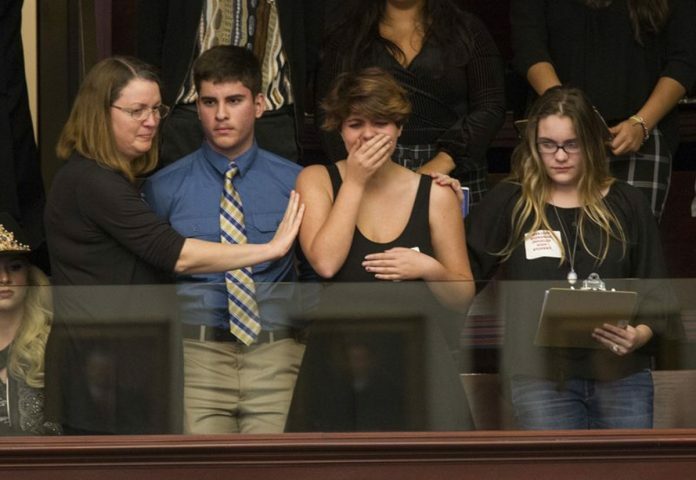 Students who survived the Florida school shooting began a journey Tuesday to the state Capitol to urge lawmakers to prevent another massacre, but within hours the gun-friendly Legislature had effectively halted any possibility of banning assault rifles like the one used in the attack. “They’re voting to have shootings continually happen. These people who voted down the bill haven’t experienced what we did. I want to say to them, ‘It could be you,’” 16-year-old Noah Kaufman said as he made the 400-mile trip to Tallahassee. “I really think they are going to hear us out,” said Chris Grady, a high school senior who was on the bus. Students from Stoneman Douglas High School, hug survivors of the Pulse nightclub shooting before boarding buses in Parkland, Fla., Tuesday, Feb. 20, 2018. 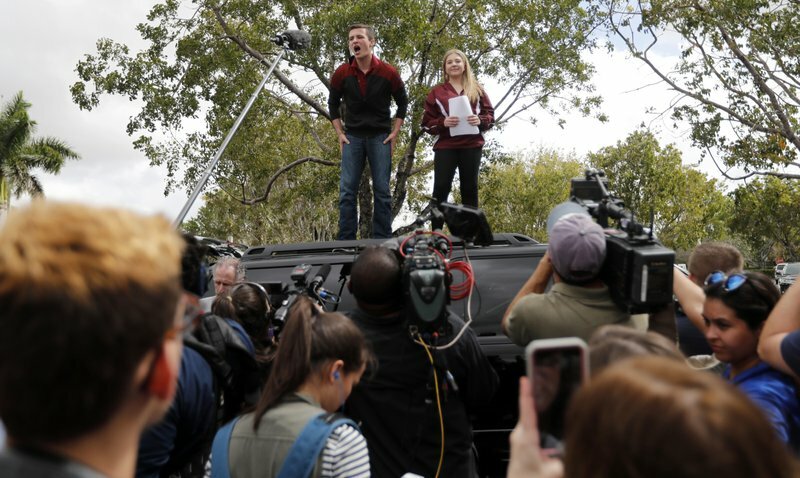 The students plan to hold a rally Wednesday in hopes that it will put pressure on the state’s Republican-controlled Legislature to consider a sweeping package of gun-control laws, something some GOP lawmakers said Monday they would consider.